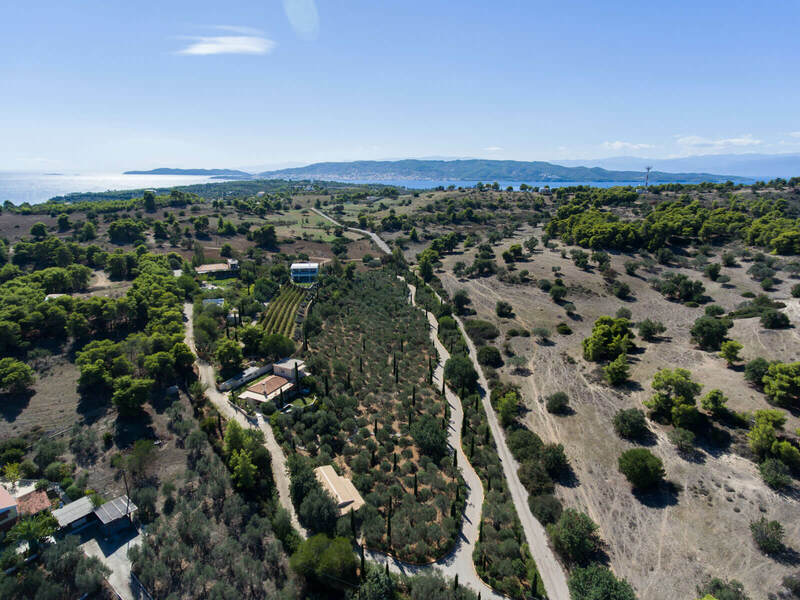 The Vineyard Estate is a Tuscan-like site situated in a serene landscape with mountain views, just a 5-minute drive from several lovely beaches. 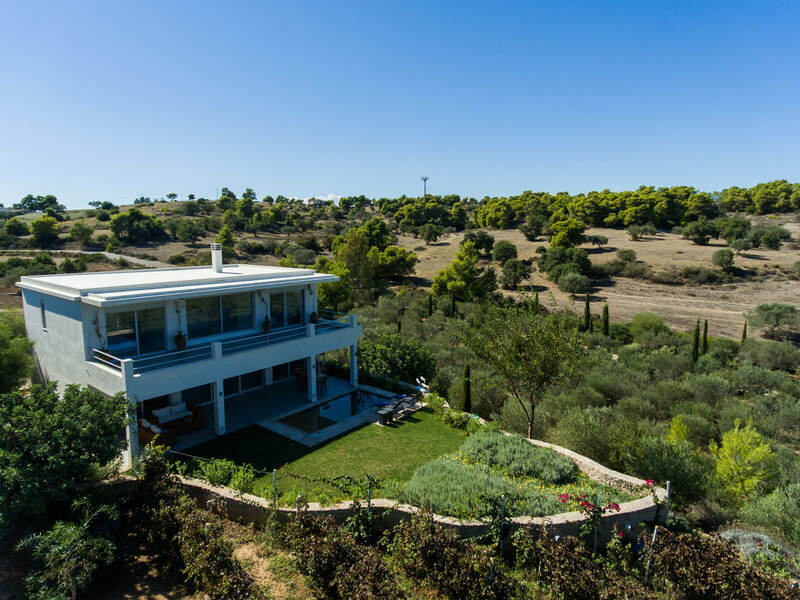 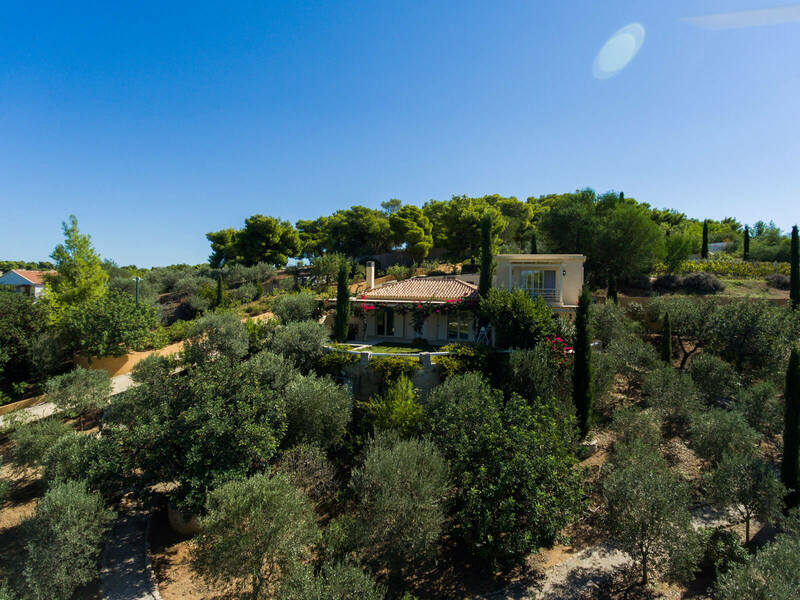 Surrounded by verdant green scenery made up with vines, olive groves and pine forest, the Estate is designed for quality, tranquility and naturalness. 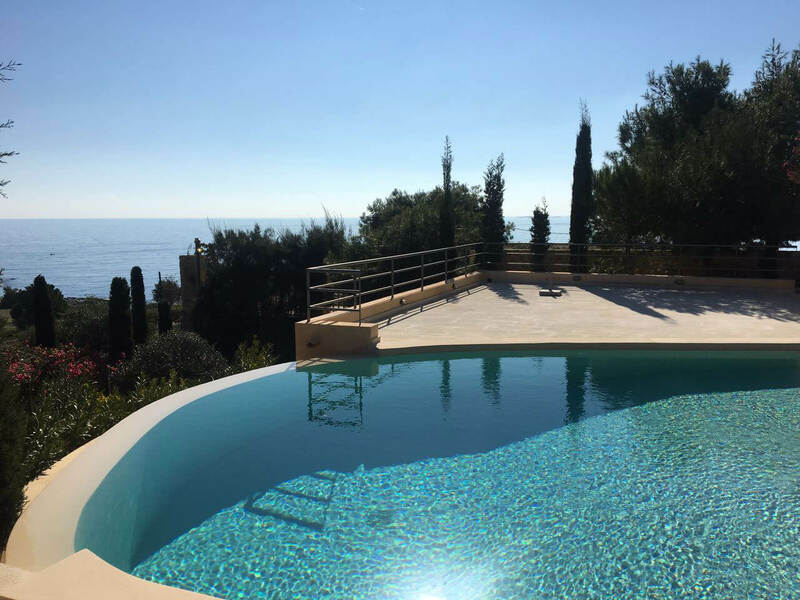 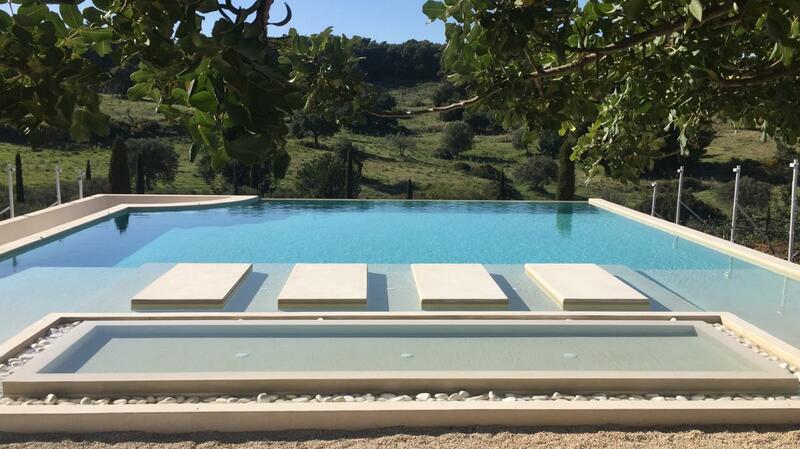 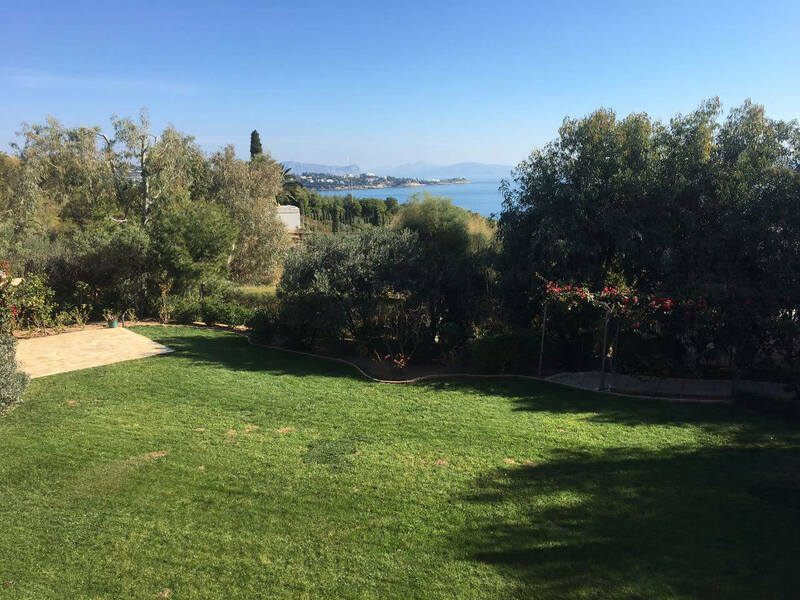 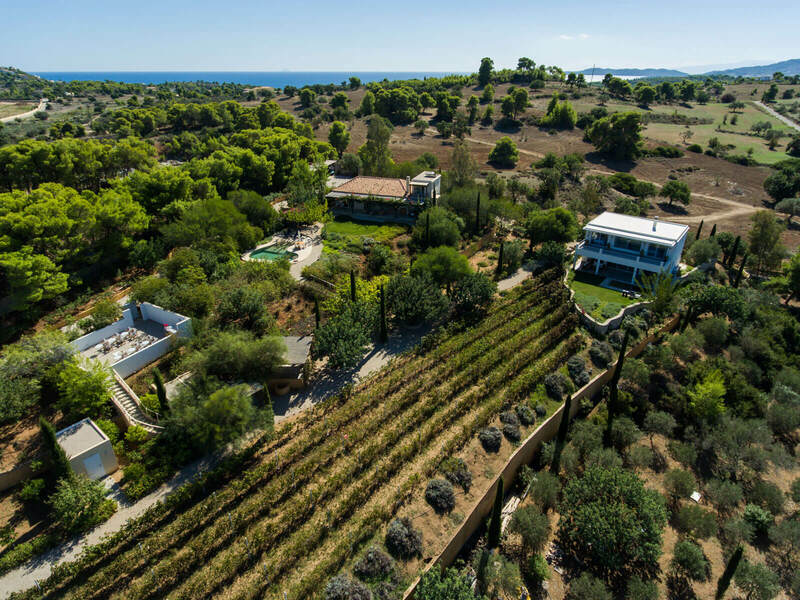 The Vineyard Estate, of about 20 acres, comprises 3 independent Villas: the Origano Villa, the Basilico Villa and the Oliveto Villa, fitted to a very high standard, enjoying breathtaking views over the hills. 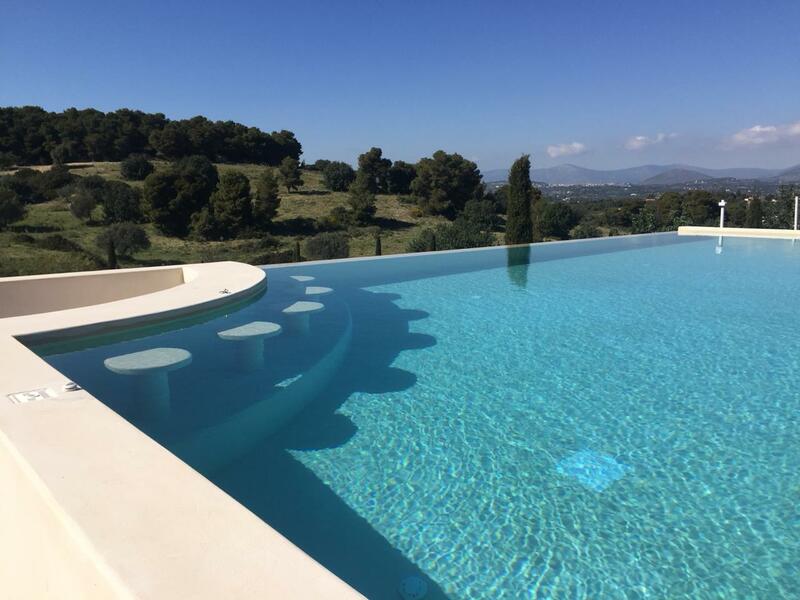 Each villa has its own private pool and enjoys privacy. 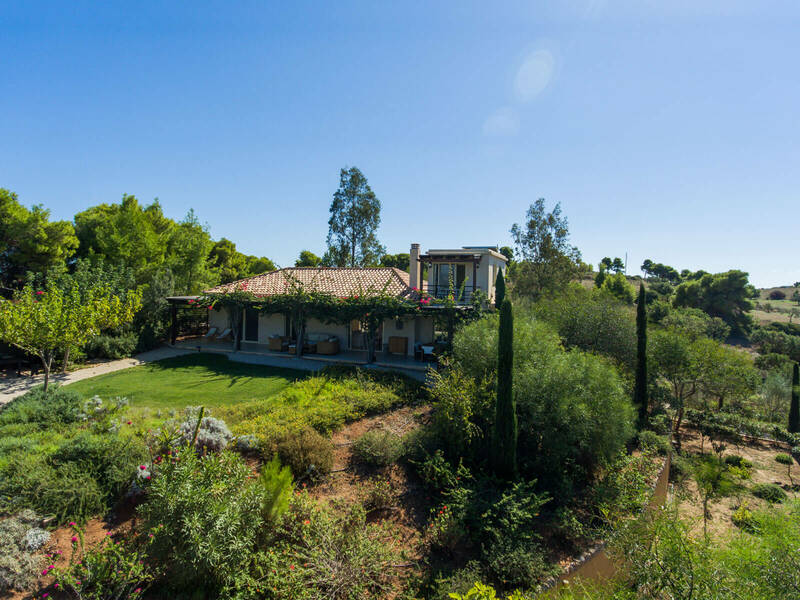 The Estate also provides an outdoor Cinema for movie nights, as well as the Pond Terrace area with BBQ & Wine-pressing area. 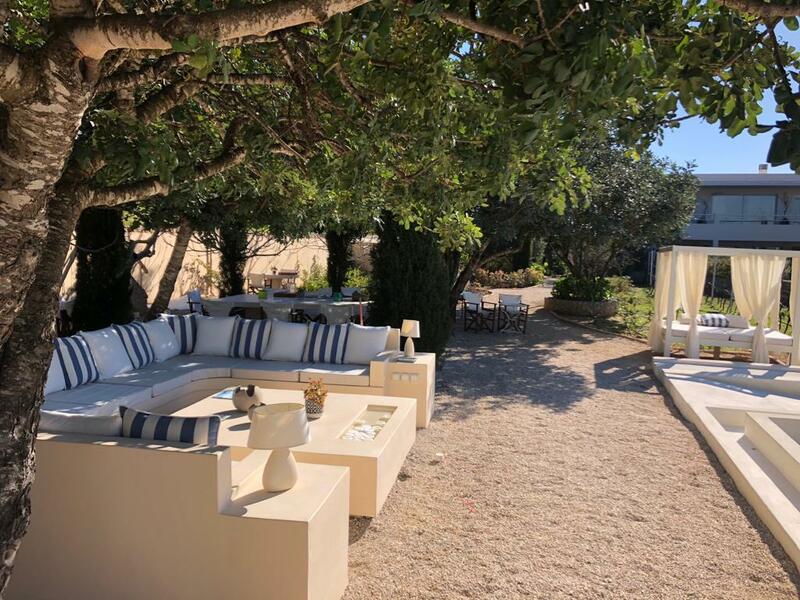 The Vineyard Estate villas can be booked separately one-by-one, or altogether for a larger group, and provide a unique, elegant and natural experience; ideal all year round. 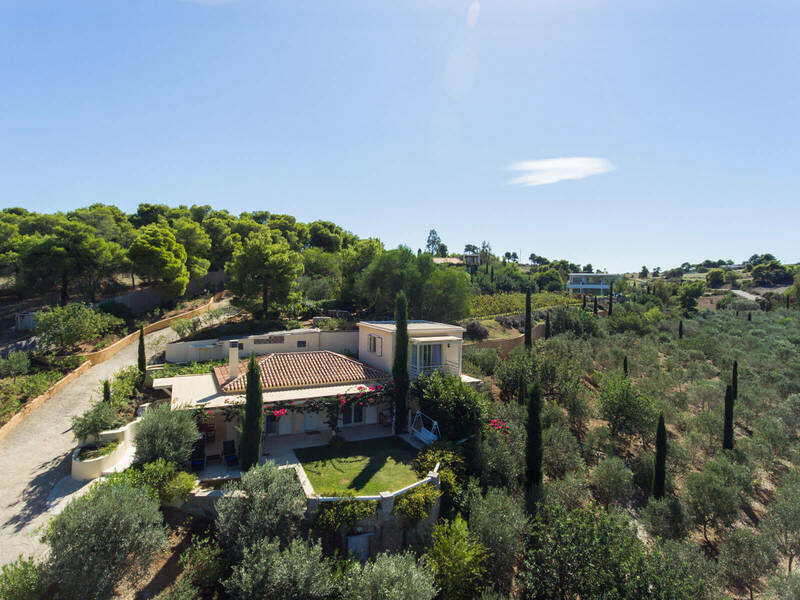 Perfect for picnics, long strolls within the olive groves and seasonal agricultural activities. 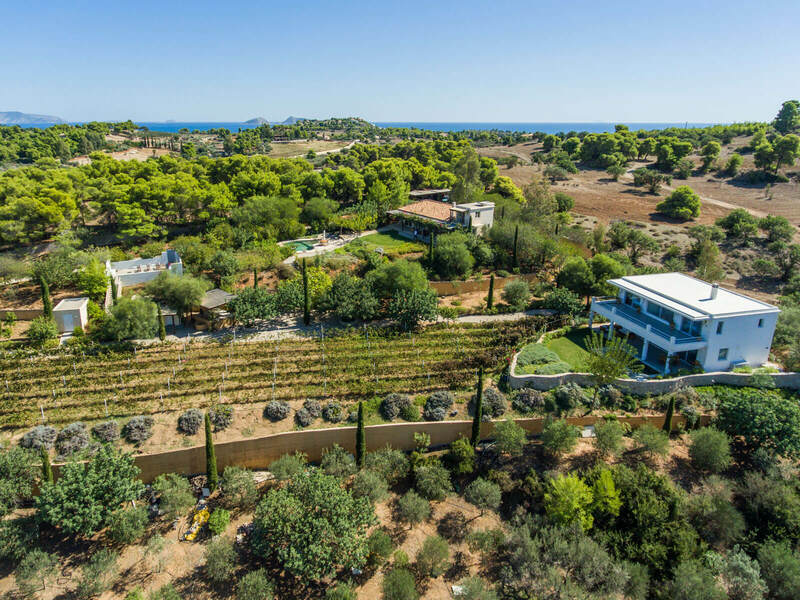 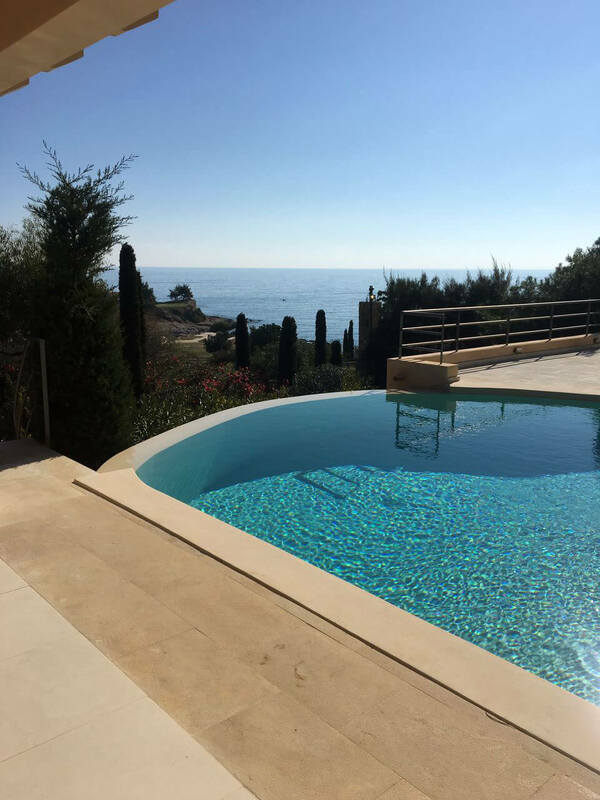 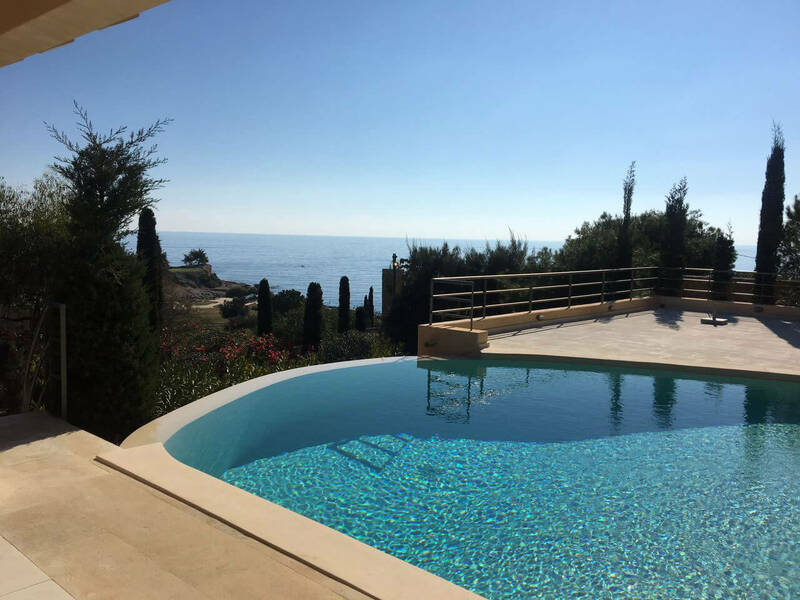 Set amid vineyards this newly built design villa with 2+1 bedrooms, private small pool, and outdoor cinema, is a short drive to several local beaches. 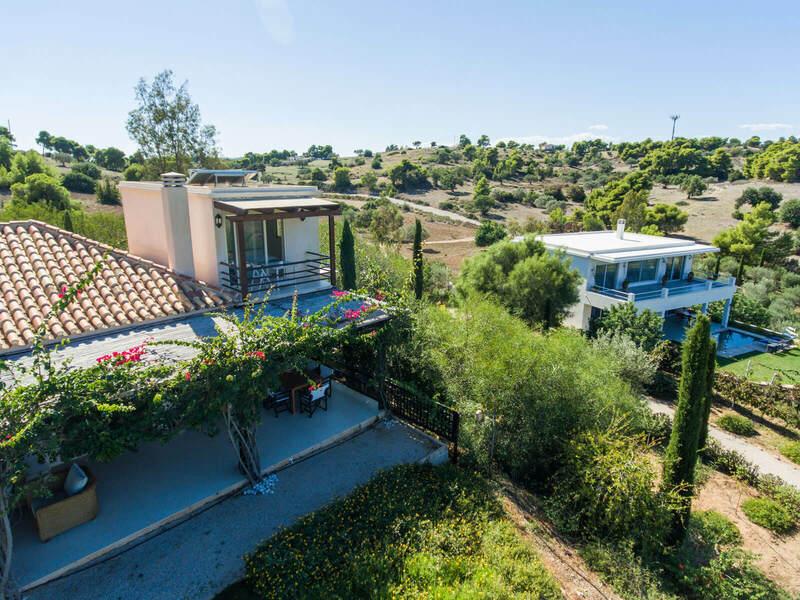 Cosy cottage within the Vineyard Estate, it is on a hilltop landscape with serene views. 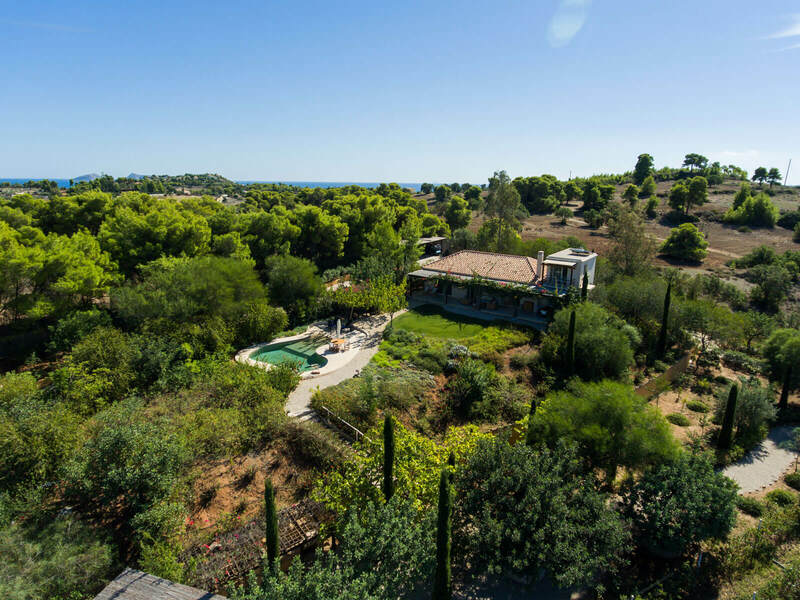 With 3 bedrooms and a mini pool, this villa is a perfect nature getaway. 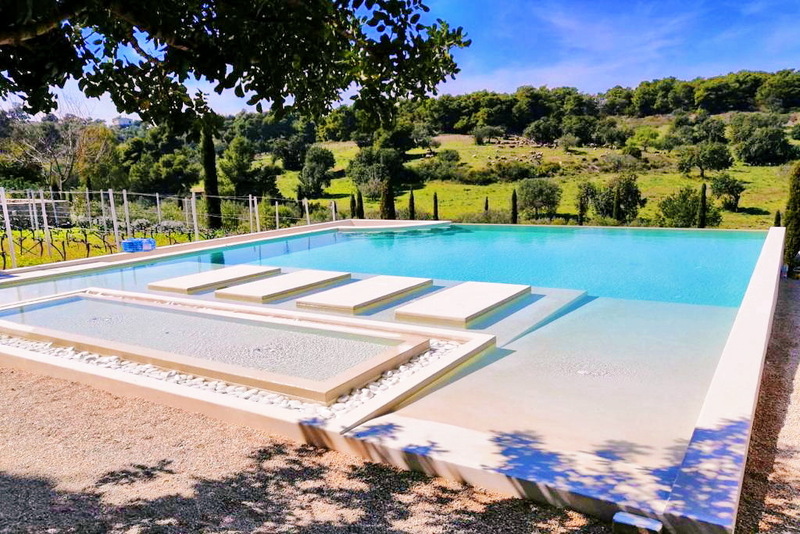 Situated in a Tuscan-like setting, with vines and olive groves, this 3 bedroom villa has a lovely pool and a lush garden, enjoying breathtaking views, ideal for peace and privacy.